With Gates Timing Components Kits, you don’t have to shop for additional tensioner & idler pulleys, buy from multiple sources or hassle with returning components that don’t fit. 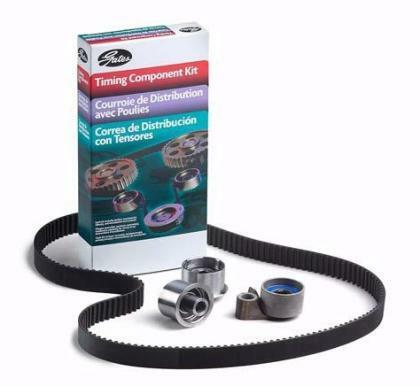 Timing component kits provide a complete system replacement solution, plus detailed installation instructions for each application. There is no guesswork required getting the proper fit. Now everything that goes into a complete timing system installation — comes out of a single box.